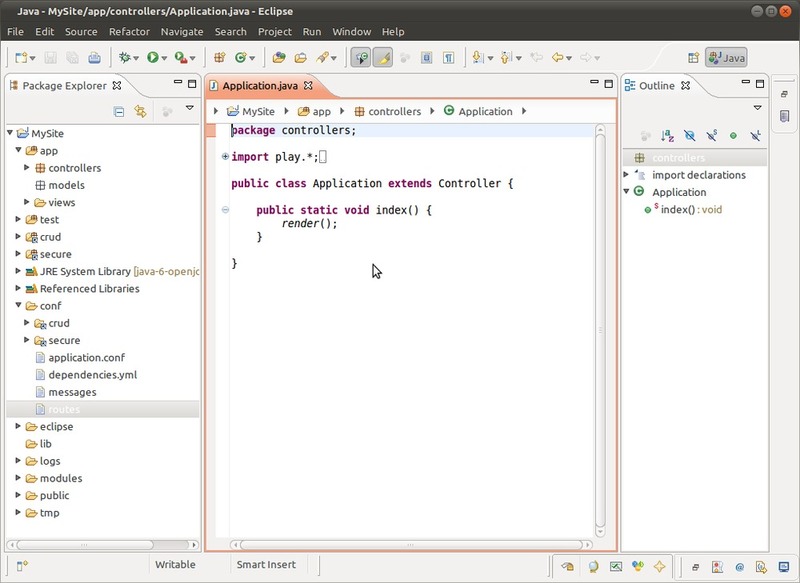 and launch following command to retrieve these dependencies/ modeles from repositories. 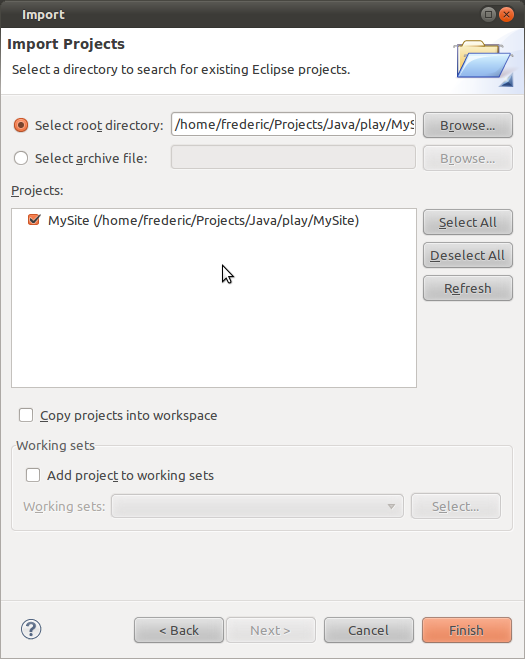 Just download the proposed zip file and unzip it into the .gnome2/gedit/plugins folder. Restart gedit if it’s already running. you will get the plugin ready to use. figure 2.3 – Detected project into browsed directory. figure 2.4 – Play! 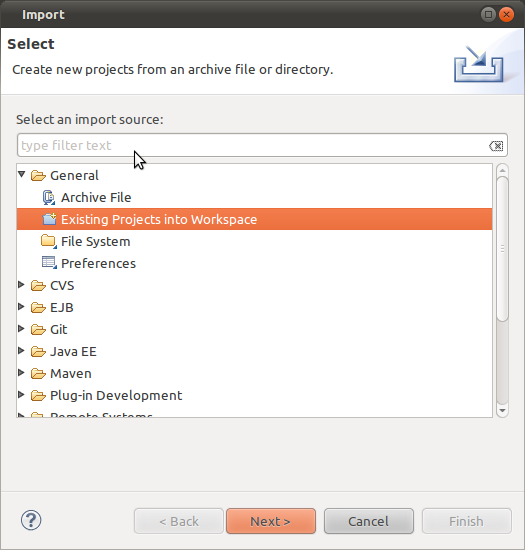 project importer into Eclipse, ready at work ! And the you will be free as bird to parse excellent documentation provided by the play distributed archive.